Amazon is a well-known American company that specializes in e-commerce and retail services. Amazon is on a day to day basis delivering various products to clients from all over the world. Amazon fulfillment services basically entail the safe delivery and prompt delivery of a clients’ order. A boost in sales and revenue streams. One is guaranteed of more exposure to more clients via our platform thus increasing the likelihood of their sales and revenue streams increasing. By using amazon order fulfillment one also can reach more geographical areas than they previously imagined. This is because amazon has an already wide established fulfillment network in various locations. By using amazon fulfillment services one can also increase the productivity and efficiency of their business for amazon will take care of the product shipping and distribution aspects of their business for them allowing them to focus on other aspect of the business. Amazon fulfillment also works 24 hours a day so while you are even sleeping you are guaranteed that your product is being sold. Amazon fulfillment are also known to take good care of various products and you are insured against loss or damage. This is not to say that amazon order fulfillment services don’t come without some cons. Some of the various cons include a lot of fees, amazon also has to establish its own special labeling in every unit they sell, and the client also loses control of their products once surrendering it out to amazon fulfillment services. Frequently asked questions on Amazon fulfillment services. How does amazon order fulfillment work? This question is normally asked by various new consumers who are new to the ecommerce industry. The amazon order fulfillment program normally works by first the business expressing an interest in our services. They then reach out to us and after an agreement is reached they ship their products to our fulfillment centers and amazon receives and stores their product units. Amazon will then proceed to carry out the distribution to the various clients who make the order. Clients want to know how they can contact amazon fulfillment centers if they may have additional queries. 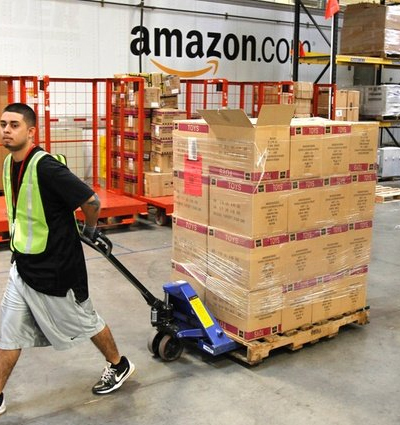 Amazon fulfillment has a support system that is open 24 hours a day. One can get the necessary details on the amazon website. Businesses want to know if they can select the fulfillment center where their products will be stored. This is normally selected by amazon for many reason such as the fulfillment center that you choose may not have the facilities to handle your designated product, or the center may be full of other goods. Businesses want to know if their products will be safe in the amazon fulfillment service centers. Amazon fulfillment normally have professional staff and state of the art security systems. One can be sure that their products will be well handled and secure in an amazon fulfillment centers.